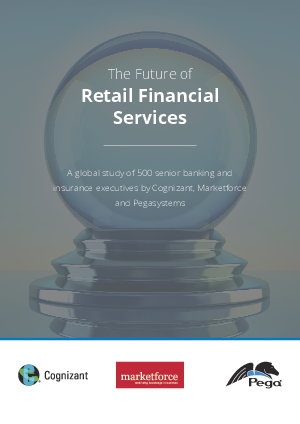 Organizations operating in the retail financial services sector – banks and insurers – need to work smart and fast to keep pace with the increasing demands of their customers. We may have a 24/7 love affair with our smartphones but it is clear that in the future we will be sharing information and making payments via fitbands, cars, TVs and white goods, as the Internet of Things fuses the physical and digital worlds. For incumbent banks and insurers, the challenge will be to leverage the possibilities of this new hyper-connected world to embed themselves in their customers’ daily lives. They need to change the way operate, which includes how they market, engage and communicate with their customer base. This will be a key defense against the growing ranks of digital newcomers seeking to disrupt and dislodge incumbents through an array of innovative and smart new offers. However, too many are moving too slowly, either from an excess of caution or complacency. This report should serve as a wake-up call: organizations need to accelerate their change programs or risk finding their customers have already moved on. Download this research study and discover how retail financial service organizations can improve customer relations immediately.